Зарплата, $ $ 330 в мес. 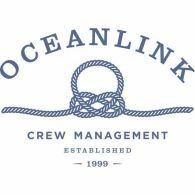 Requirements: Fluent English: verbal and in writing; Certificate of Competency - Navigator; STCW required trainings and certificates; We offer: Good practice on modern vessels and promotion; Training and development opportunities; Competitive terms of employment with long term commitment; You have to visit our office for tests no later than 26th April 2019. We are waiting for you on Mon-Fri from 0900 till 1300.